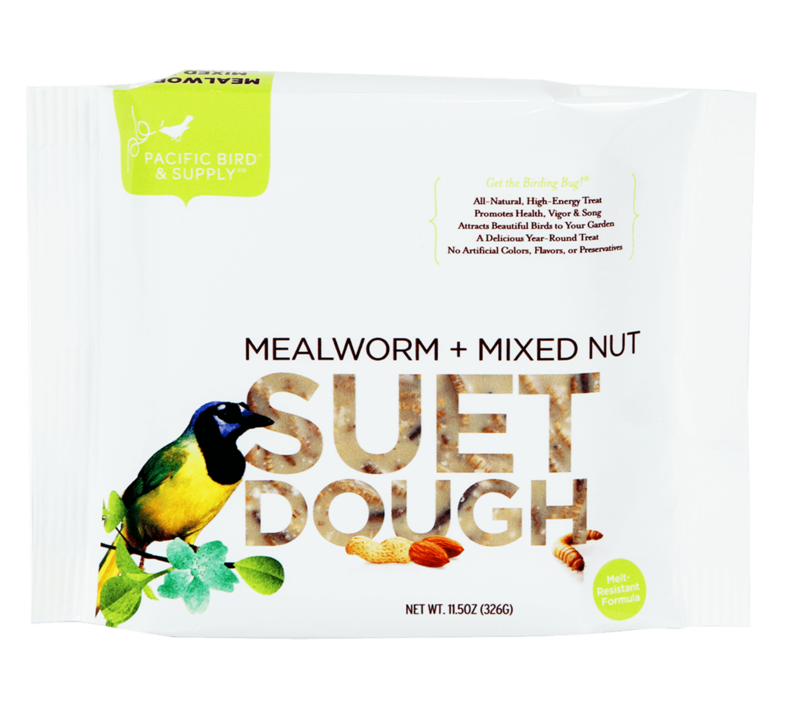 Pacific Bird's Suet Balls are an ideal source of protein and energy for wild, insectivorous birds. 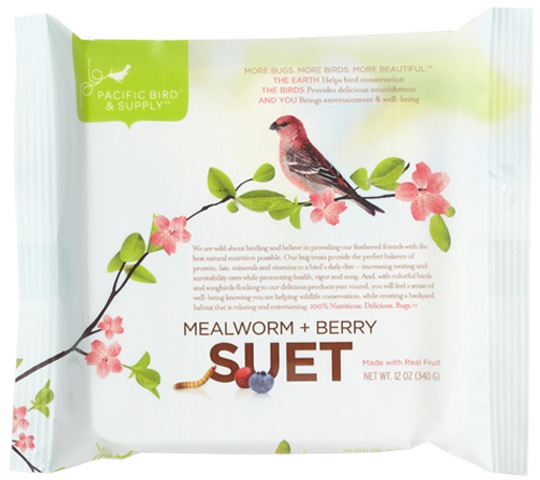 Each ball contains a blend of high-quality ingredients, including whole insects, sure to make your backyard birds sing with joy! 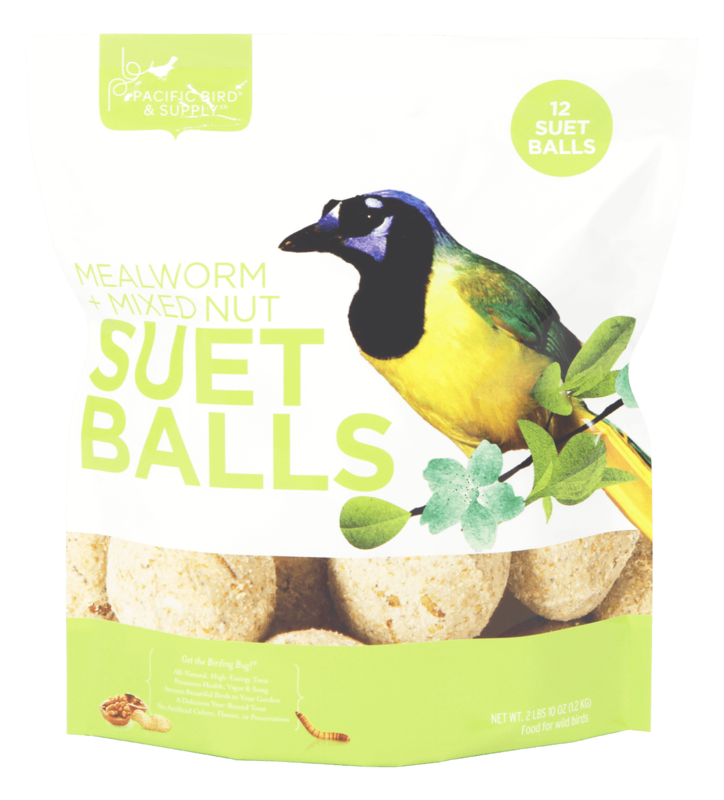 Pacific Bird's Smorgasbug® Suet Balls are specifically designed to draw in all of those insect-loving birds that you might not get with other suet, and are specifically formulated to be no melt! FEEDING INSTRUCTIONS: Easy and convenient to use. 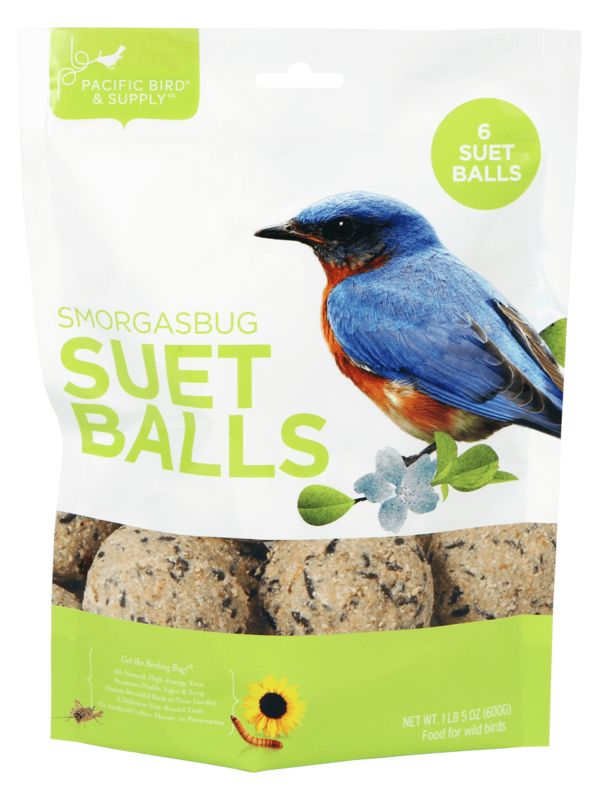 Simply place Smorgasbug® Suet Balls in any standard sized suet ball feeder or platform feeder, and hang approximately 5' above the ground.